Back in early October the CGM Royal Rumble kicked off. 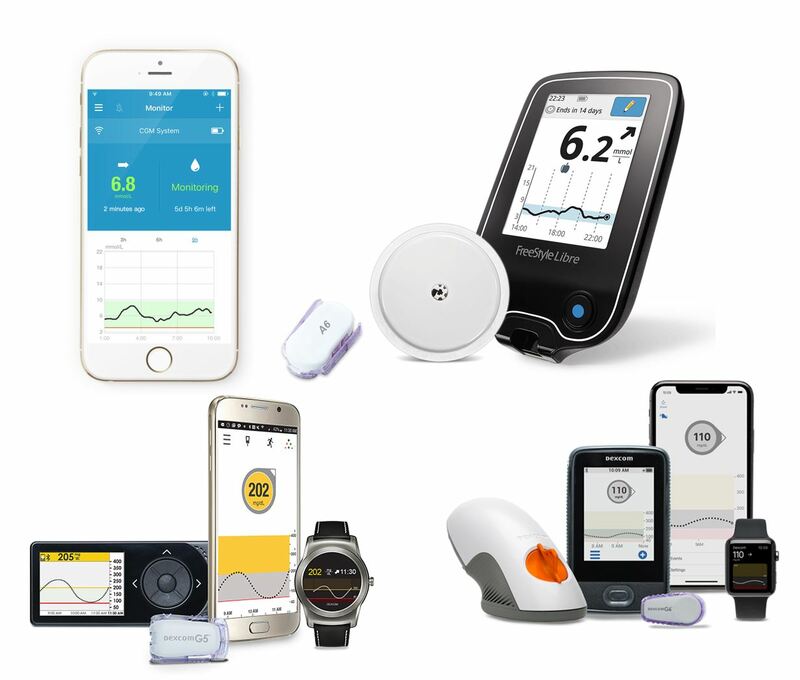 Four CGM systems, located in their manufacturer recommended locations on the body and using their onboard (or on-reader) algorithms. Which one would have the best outcomes and which the worst? Bear in mind, this is an n=1 study, so the outcomes of this may not apply to you. The four systems are the Dexcom G6, the Abbott Freestyle Libre (1), the Dexcom G5 and the Medtrum A6, all facing off against each other. Sadly, the Medtronic Guardian2/Enlite system didn’t participate because I had no Enlites, nor an active Guardian 2 transmitter, and I wasn’t planning on paying for them for the purposes of this test. For full disclosure, the Medtrum sensors were provided free of charge by Medtrum, along with a charging dock for the transmitter, as Medtrum have said that the sensors are now improved and wanted an opportunity to prove this. All four CGM systems were applied around 6am and given 15 hours to bed in (as previous experience has shown that this tends to make them more accurate from the start). After 15 hours on the my stomach, the Medtrum A6 sticker looked ropey and the glucose readings flatlined, so it was replaced with a new sensor that only had two hours to warm up the next morning. After 24 hours of wearing the G6, G5 and A6 on my stomach, they required overtape. On starting them up, after the two hour warm up, those which could be calibrated, were (the A6, G6 and G5). From then on, those that requested calibration were calibrated when they asked (as long as it was convenient), or as close to that time as possible. The Libre was exclusively tested using the Libre reader. All sensor readings were taken before calibration was done. A total of 106 comparative finger pricks were undertaken, with the majority undertaken on days 1-10. During days 11-13, none were undertaken as the majority of the experiment was deemed complete. The Dexcom G5 was restarted at the end of its 7th day. I also wore a second G6 on my arm, as this is my usual location for wearing the G6 and I wanted to compare the outcome with the recommended location. This was not started concurrently with the other CGMs, so the results were collected from day 3 of that sensor. The results really speak for themselves. The G6 worn in my arm proved to have a significantly better MARD vs the blood results, and the bias (positive or negative variation) was also lowest, so the results from the sensor were closest to the blood readings. The Libre was also remarkably good. What also stands out is how bad the stomach based systems proved to be. Whilst the MARD values were terrible for the A6, they weren’t amazing for the G5 or G6 worn on the stomach. 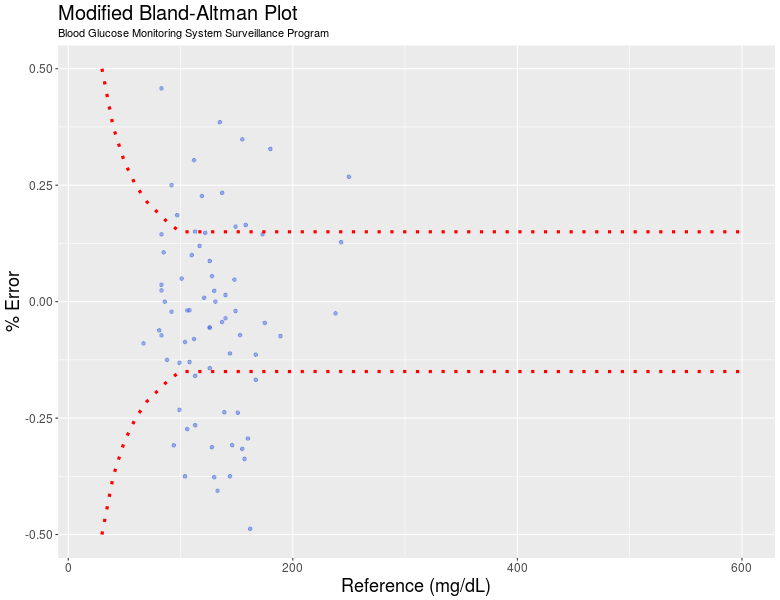 In addition the Coefficient of Variation (Standard Deviation of Relative Difference between sensor value and blood test) of the stomach based sensors was also not as good, with the A6 proving to be by far the worst. What’s also worth taking a look at are the modified Bland-Altman plots which show the error versus the reference value, with the ISO standard boundaries for a blood glucose monitor overlaid on them. Whilst these don’t give an absolute reference, they do perhaps give a better indication of how close to the blood test results the sensor results are. The other item worth noting in the results was the loss of sensor stickiness on the stomach worn devices. The Medtrum achieved just 6.5 days, and the G5 adhesive failed at 9.5 days (which admittedly is beyond its required life). I didn’t attempt to restart the stomach worn G6 after it expired in the Dexcom app due to a similar loss of stickiness. The Libre remained limpet like throughout its 14 days. It’s safe to say that when going to the gym and sweating a lot, the stomach is perhaps one of the worst places for adhesion…. It’s worth noting that this, very simple, test of the five sensors was a similar type of test to that done earlier this year and published at the ADA Scientific Sessions. That one showed that in their real world testing across 23 participants that the Eversense was by far the best, while Libre came out worst. The key difference (as far as I am able to ascertain) is that this 5-way test had, on average, twice as many glucose comparison tests per day, and that throughout the period, I was running a closed loop with a 70/180 Time in Range of more than 90%. I suspect that this has driven the significant differences in the outcomes. Where (across two sensors in this case) the A6 had a MARD of 14.9% and the G5 10.7%. For the A6, this was around 36% better, while the G5 is around a 5% improvement in results. Who won the CGM Royal Rumble? As with so many of the WWE tournaments, the one that wasn’t really participating…. By far the most accurate in this n=1 study was the Dexcom G6 worn on the arm (and this backs up anecdotal observations). Of the participants not being used off-label, it was the Libre that was hands down the winner, with a very clearly better MARD and co-efficient of variation than the G6 or G5 on the stomach. In last place, with frankly terrible results, was the Medtrum A6. If you wear it on your stomach, you are likely to get even worse results than I saw in my month testing, and that’s with the supposedly new and improved sensors. The other item to note with the Medtrum A6 was that it still managed to be positively biased, which makes it unsafe to use in insulin dosing, as it generally overstates the glucose level, unlike all of the others. It was also the only one of the systems tested to miss low glucose levels, and it did this more than once. What I’ve taken away from this is that Dexcom’s G6 appears to be as good as they reckoned in comparison to other systems, but more importantly, the Freestyle Libre is surprisingly good, and with the new calibration approach that they will be taking on the Libre2, it’s likely to get even better. In addition to this, my biggest take away is about where the CGM is worn. For me, the stomach region really isn’t all that good. It clearly doesn’t work as well as the arm does, and henceforth, the arm is where you’ll find me placing my sensor equipment. Let’s get ready to rumble…. If it is not too intimate question. What is your BMI/body fat percentage? I’ve a BMI of 25 with body fat percentage of 16% last time I checked. wrt the Libre what do you mean by the new calibration approach? The Libre2 is supposed to have alarms but have you heard that it can be calibrated? What we’ve heard is that the factory calibration is different. Instead of being calibrated in lots, it will be done on a sensor by sensor basis. Have you used a pump in your abdomen for enough years to cause scar tissue there? I know I cannot use a sensor there because of that reason but my thigh is super accurate. A very interesting heads-up comparison. Fascinating stuff – thanks so much for sharing! On the G6 restart, I can’t get this to work – I follow the instructions to the letter but always get a “transmitter not found” error a couple of mins into the 2-hour countdown and then, even if I wait 2 hours, when I restart the phone and re-connect the transmitter the original sensor session just continues. Can’t figure out what I am doing wrong! With the stomach based sensors, was the application area shaved before installation. The pictures don’t show very well whether this was the case. I use G5 on my stomach (male… hairy) after shaving and find adhesion excellent during the first week and then variable for the second. A further note with respect to the Libre, which I used for almost a year before I started getting a reaction to either the adhesive or filament that worsened with each sensor to the point that after a few days there was a weeping, itchy wound that took weeks to heal. There is a facebook group that covers this very situation. thanks a lot for the test! Knowing that individual sensors have different inaccuracies, this is assumingly statistcally not a strong evidence, but it gives a certain indication. It would have been interessting to compare the Dexcoms with the Libre using Glimp with calibrations. My experience is, if you use Libre with Glimp and do calibrations with bloody measurements the accuracy gets much better – especially when you put the time stamp for the calibrations + 13 minutes (maybe individually varying, it was the measurement delay I encountered between blood and arm). Thanks for the feedback Jens. 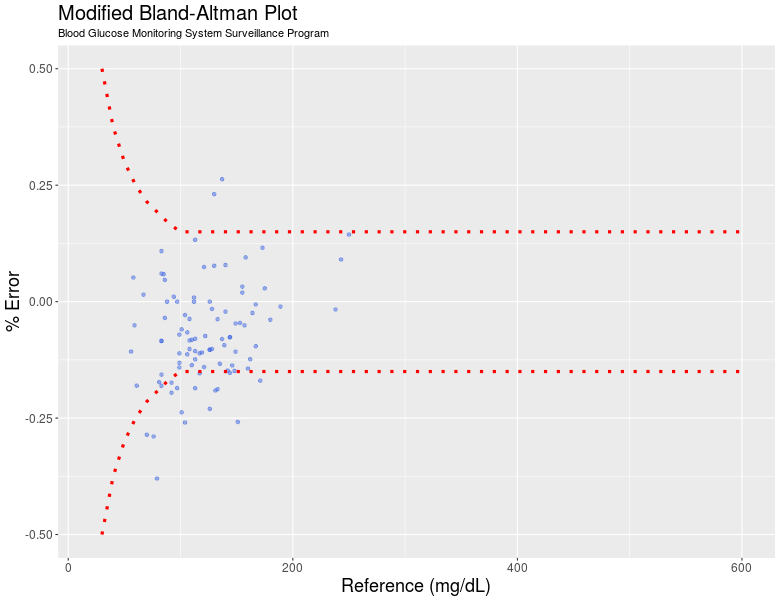 You’d be right that this is an n=1 sample, so not statistically all that relevant. The essence of the test was to see what the differences were when you use systems according to manufacturers instructions (as the vast majority do) and to start a conversation. 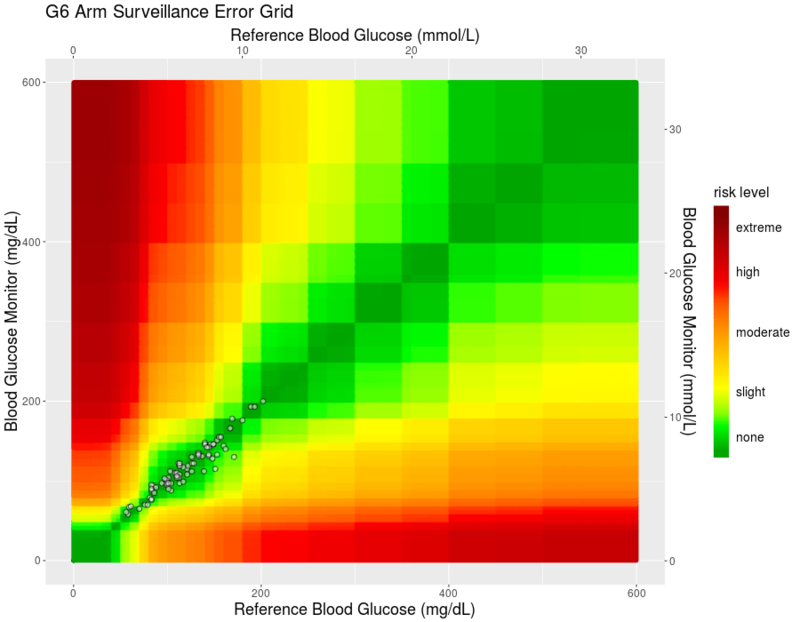 The main point of this test was to use the licensed native algorithms of all the systems in their recommended locations, so G5, G6, Medtrum and Libre, and see how they performed against each other. 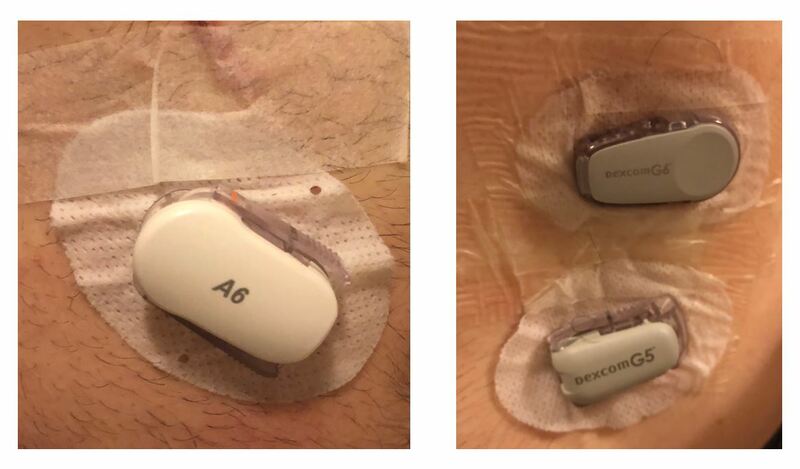 As it turned out, and what people seem to continue to miss, is that in the licensed locations, the Libre on my arm (surprisingly) outperformed the Dexcom G6 on my abdomen, whilst using the Abbott algorithm, which was not an expected outcome. My experience with Libre has generally been patchy. There’s no doubt that with some form of calibration model, you can get better results, however that will be the outcome of a different test!